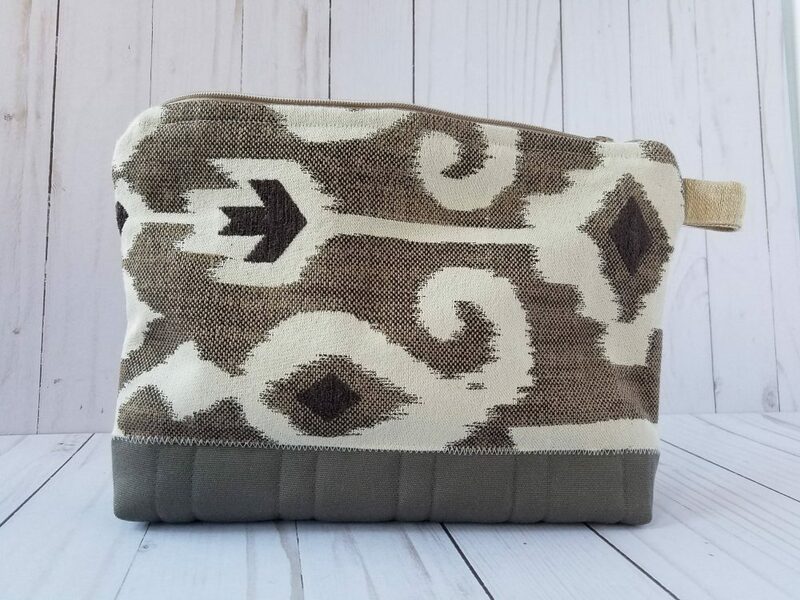 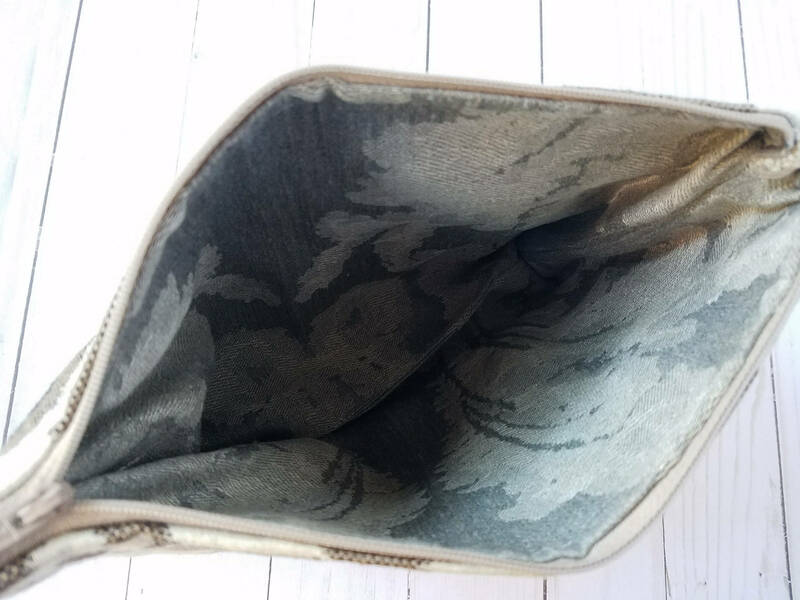 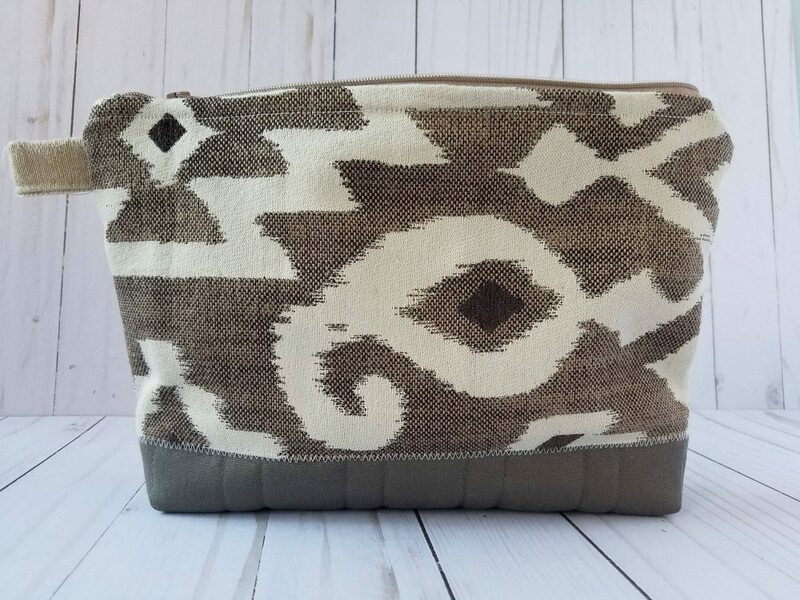 This beautiful Dopp kit in neutral colors and an Ikat pattern will be a great gift for any special person in your life. 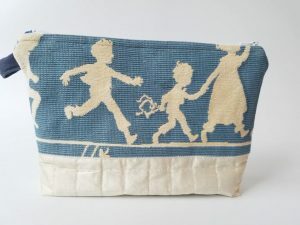 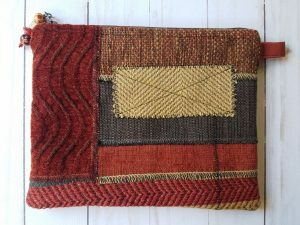 Made from sturdy upholstery fabrics, it will withhold years of use. 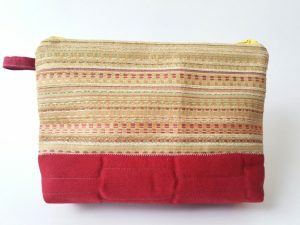 – The sides are made of sturdy textured fabric. 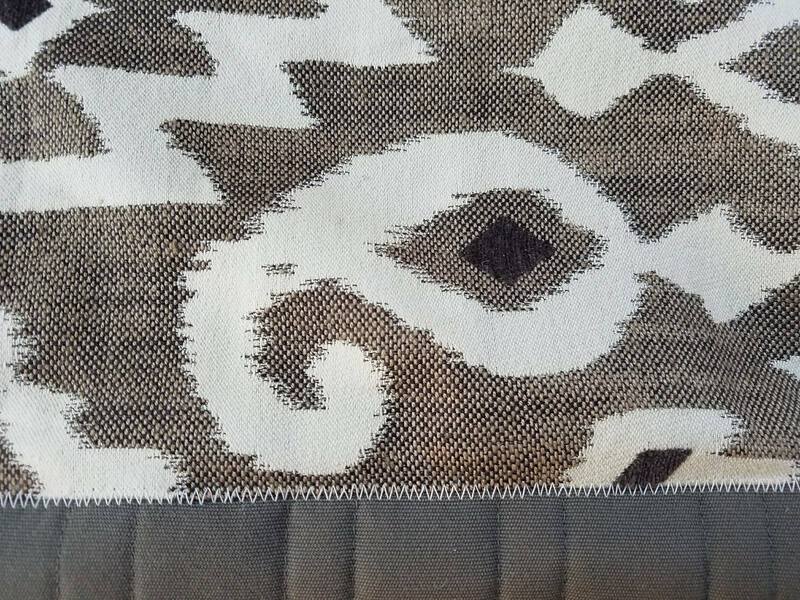 It has and Ikat pattern in beige and cream. 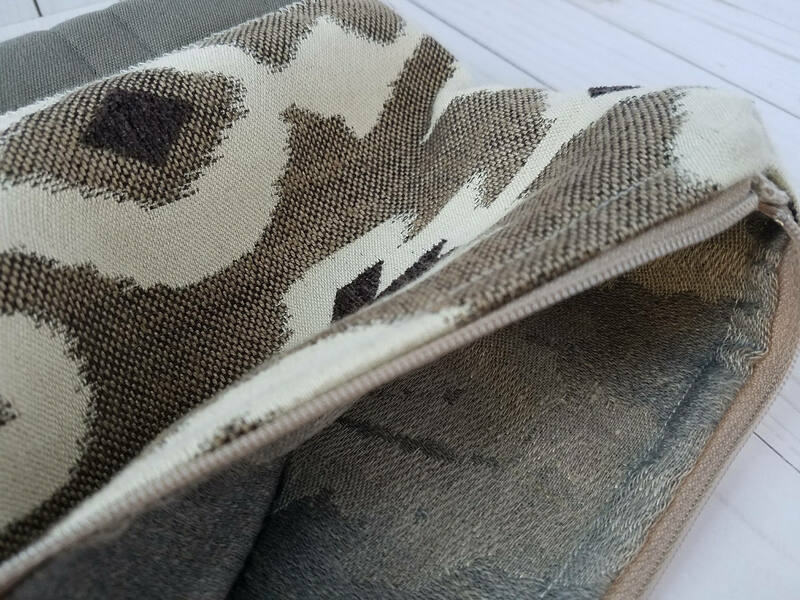 – The beige zipper matches the outer fabric. 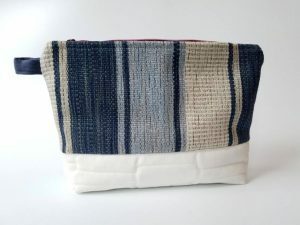 – Lined with a cotton lining in beige.